As I was reading over my to do list this week I had "blog post" written in bold marker and underlined twice. It's been on my to do list for quite awhile, but I had to put the blog posts on the back burner in order to keep up with work and life. Today I'm going to share songs I've been singing in classrooms to get us ready for turkey day. This week the students have really been enjoying getting up out of their seats and dancing around. We've been doing the "Turkey Trot"....a lot! I haven't found an age group yet that doesn't request "Pumpkin Pie" every session. We sing it with actions and then get the rhythm instruments out and assign parts for each action in the song. This song wins the award for being catchy and sticking in your head all day long! Lastly, the younger students are doing a great job learning their colors and learning to sequence items in a song. The repetitive lyrics in this song give confidence to young singers in my groups. We also added sign language for each color mentioned in the song. What have you been singing this week? The inspiration for today's song came from a saying many of us hear each year in the spring: April showers bring May flowers. I wrote this song a couple years ago, but it is still one of my go to songs to sing with young students in the spring. Chorus: April showers bring May flowers. It is Spring. I love incorporating different instruments to make different sounds you can hear in a storm, but I specifically use the Remo hand drum with this song. The students love this song and I really enjoy singing it with them each spring. It's a great song to use with students who are working on turn taking, fine motor coordination, listening skills, and impulse control. Thanks for stopping by and have a Happy Easter! While planning sessions over the weekend, I went back into my collection of holiday songs to find a song for St. Patrick's Day. I love singing about the holidays within our monthly calendar song with the students. 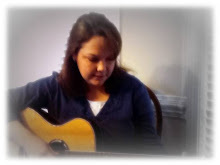 I also write a separate song for most holidays so that we can focus on what those particular holidays represent. So today's song share is about St. Patrick's Day. In this song, I was sure to include the color green, leprechauns, shamrocks, four leaf clovers and rainbows. The song is below. If you would like a song sheet with lyrics and guitar chords for this song, send an email to morewithmusic@gmail.com. Have an awesome week and don't forget to wear something green! That's right...I have a good excuse for not posting in over two months! Things have been more than busy around here with my usual work and mommy schedule. A week before this past Christmas, we added an addition to our family-a golden retriever puppy! This is our puppy Oakley. He loves my son and gets excited over just about everything. He also loves the snow we received today! So, we've been busy with crate training (which is going really well! ), house training (going great-thank goodness for the bell hanging on the back door! ), puppy classes and lots of attention for the puppy himself. Stay tuned tomorrow for another blog post! I'll be sharing a song to go along with a book that helps students learn positional words!